Title: 'Cambriae Typus'. Descriptive text in Latin on verso. 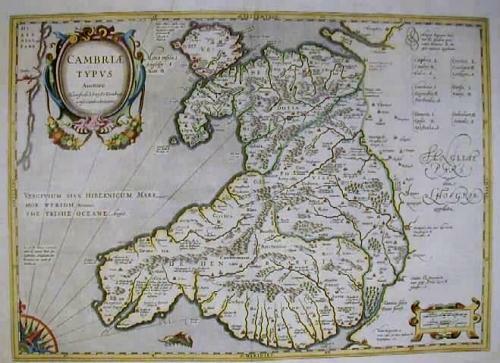 The condition of this map is excellent and the paper is of good quality with little age toning. There are few discernible faults. Full margins with a faint water stain in the corners.